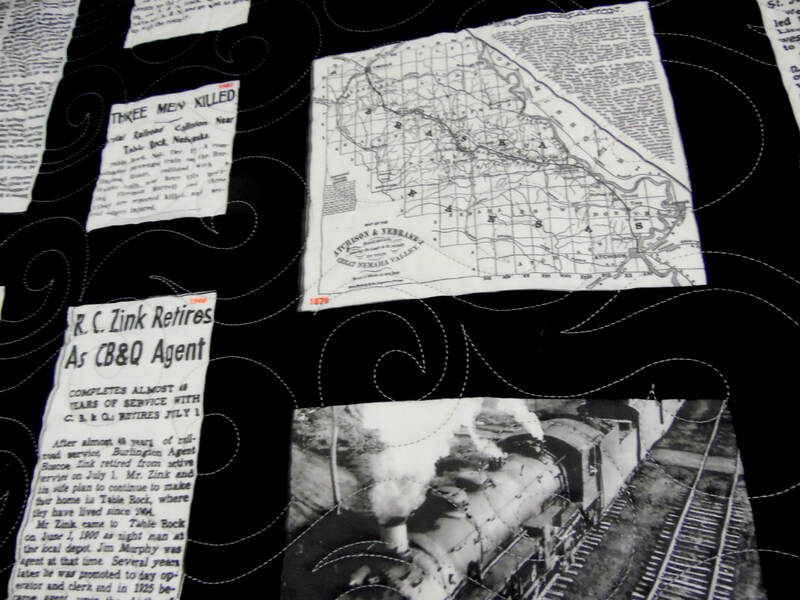 It was made by Sherry Sitzman Winkinhofer, curator of the railroad exhibition, 147 YEARS OF TRAINS IN TABLE ROCK, at the Argus Museum through October 2018. 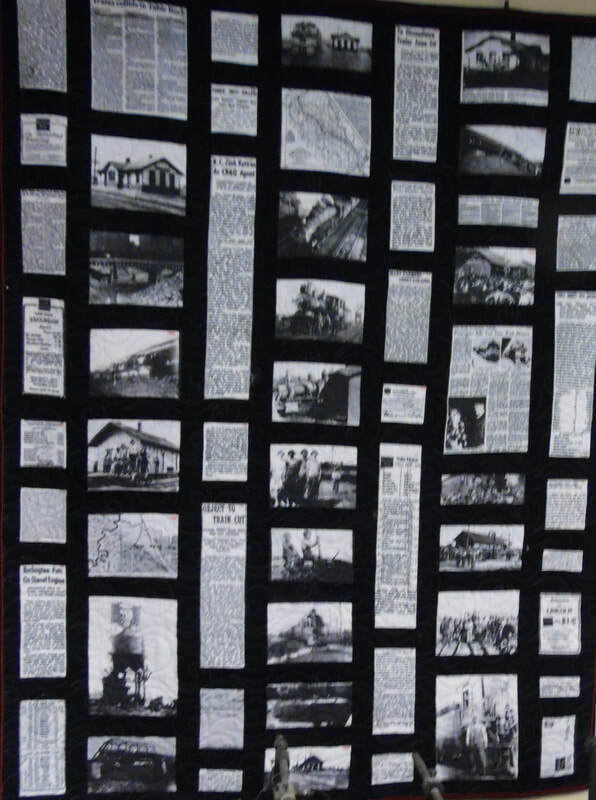 She had fabric made with some of her favorite pictures, articles, and other print mementos from the exhibition, then made this exquisite quilt. 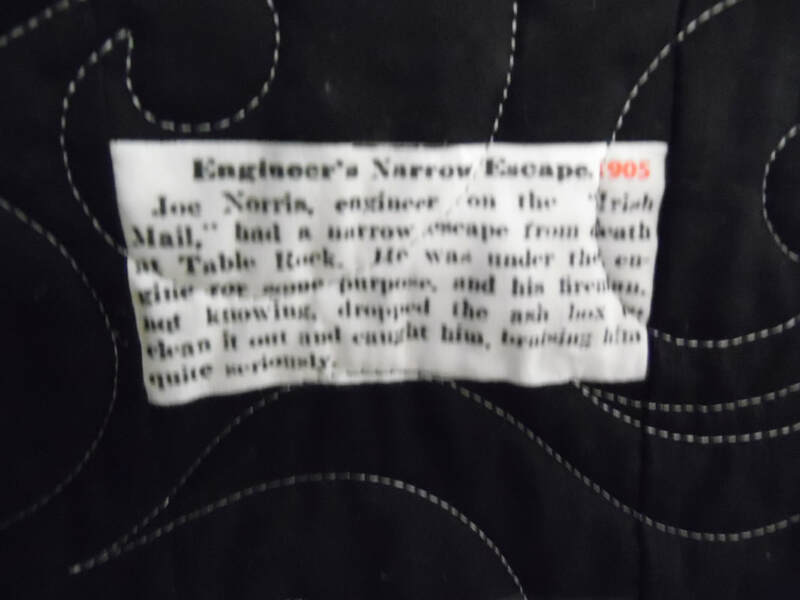 It is a small quilt -- smaller than twin, a large lap-sized -- but packed with history. The articles are dated. 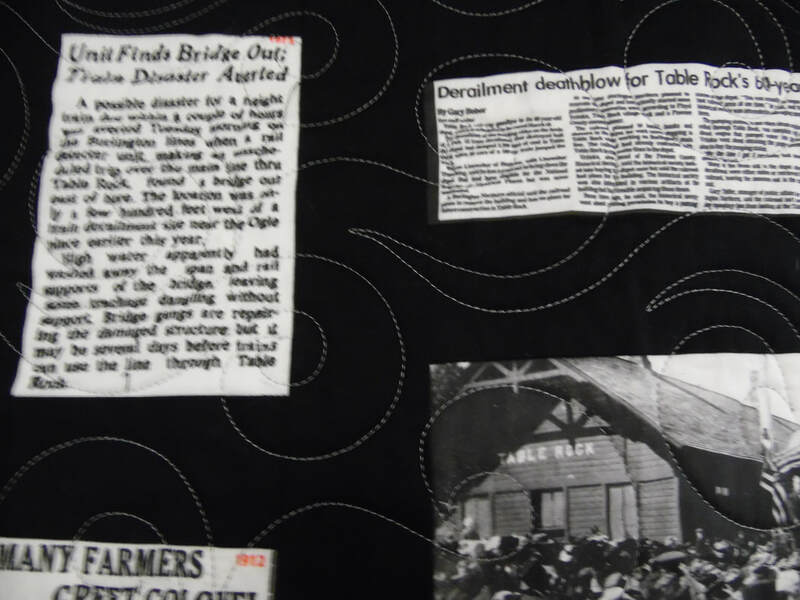 Articles & photos are 8" wide, sashed with black, with a red pin-stripe around the outer edge of the quilt. 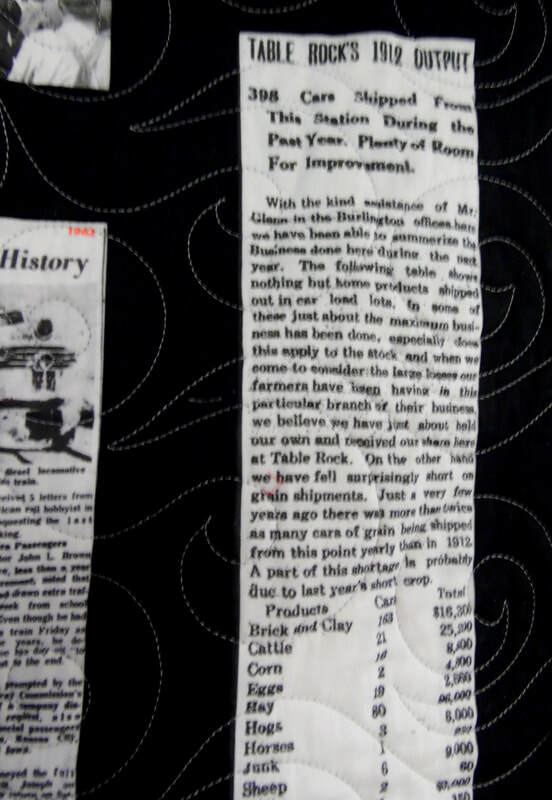 And everything is about Table Rock. Raffle tickets are $1 each, 6 for $5. 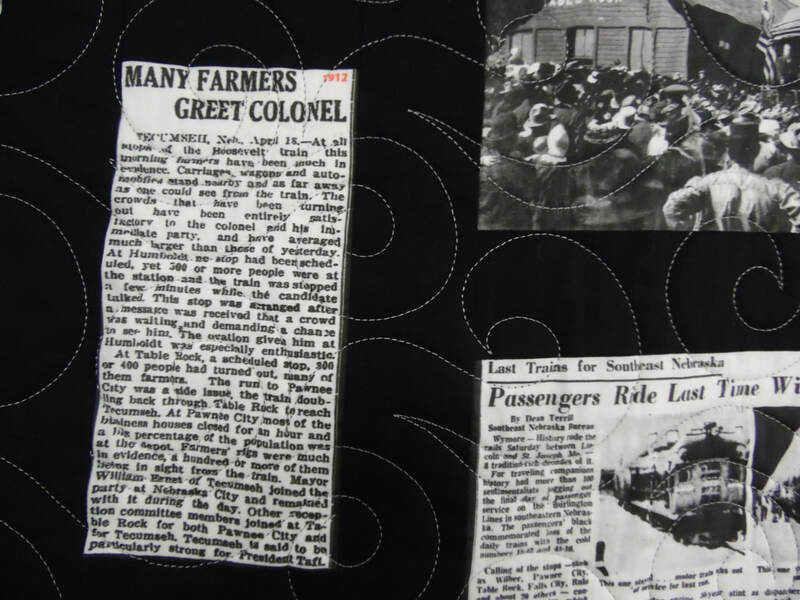 You can buy them at Freeman Hairitage in Table Rock, or you can make arrangements by emailing TableRockHistory@gmail.com. 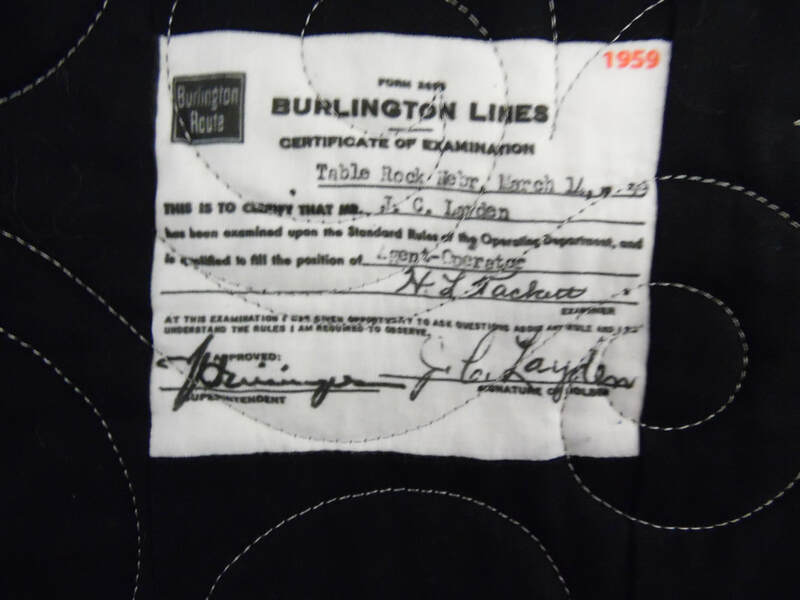 Note: the text of all sections is very legible, the photo quality notwithstanding.